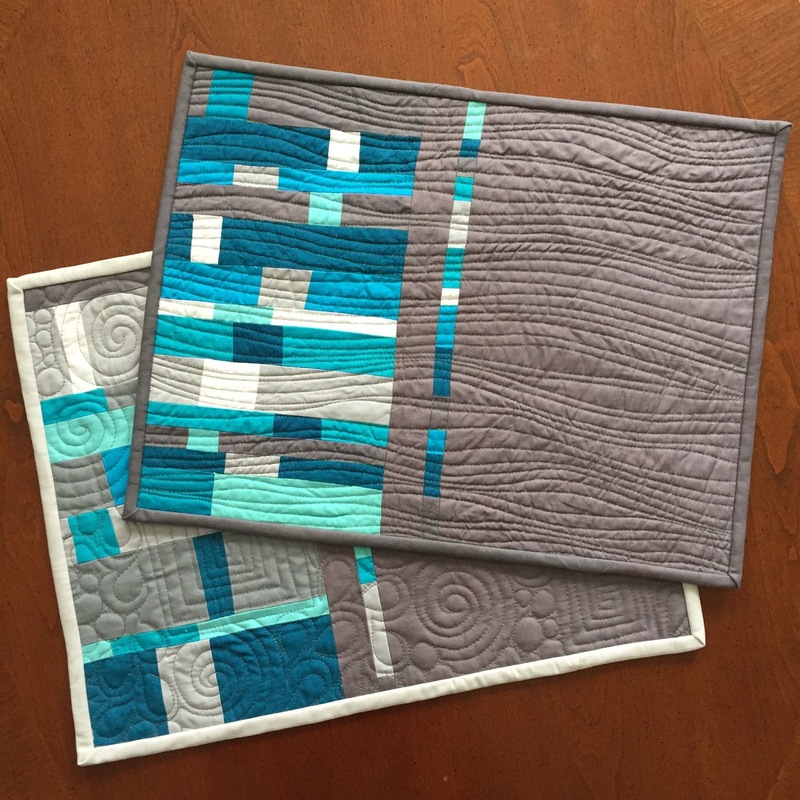 I finished up another couple of improv quilted placemats for my charity project for the year which is placemats for Meals on Wheels (#placemats4mow if you want to join in) made using up leftover blocks and scraps. This was originally a test panel of strata for Improvising Tradition (affiliate link, although it looks like you can buy a signed copy from me in my etsy shop cheaper than that at the moment).This panel taught me that I prefer strata that is more monochromatic, but I chose to celebrate the pops of green as is by binding in a leftover strip of Kona grass green binding. 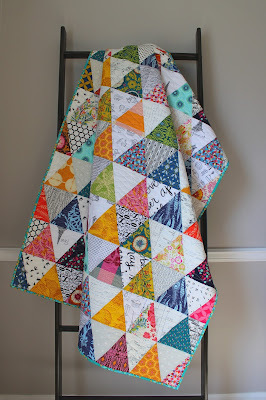 The perfect backing presented itself as an old Denyse Schmidt print. 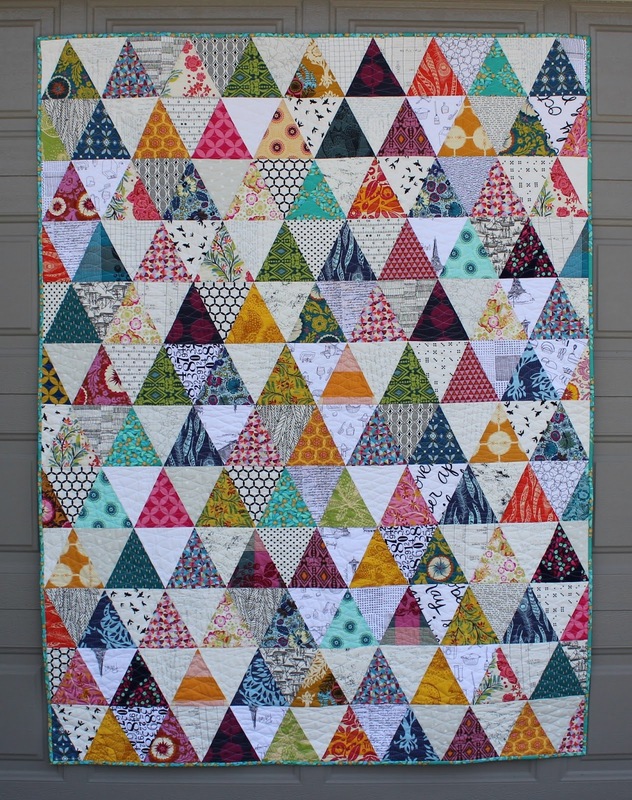 Love those dots. I had fun coming up with a different quilting design for each shape, although some worked out better than others and some got repeated. I made several strips of the improv technique in the second placemat a while ago. 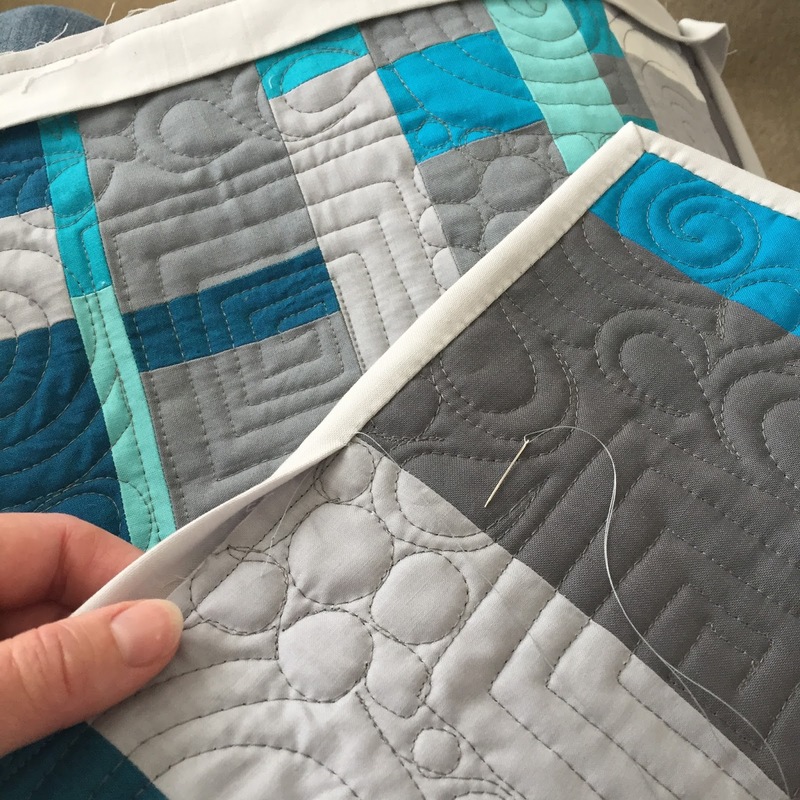 Several of the strips became a pillow, but I had a spare strip I've been looking to use. Bingo! 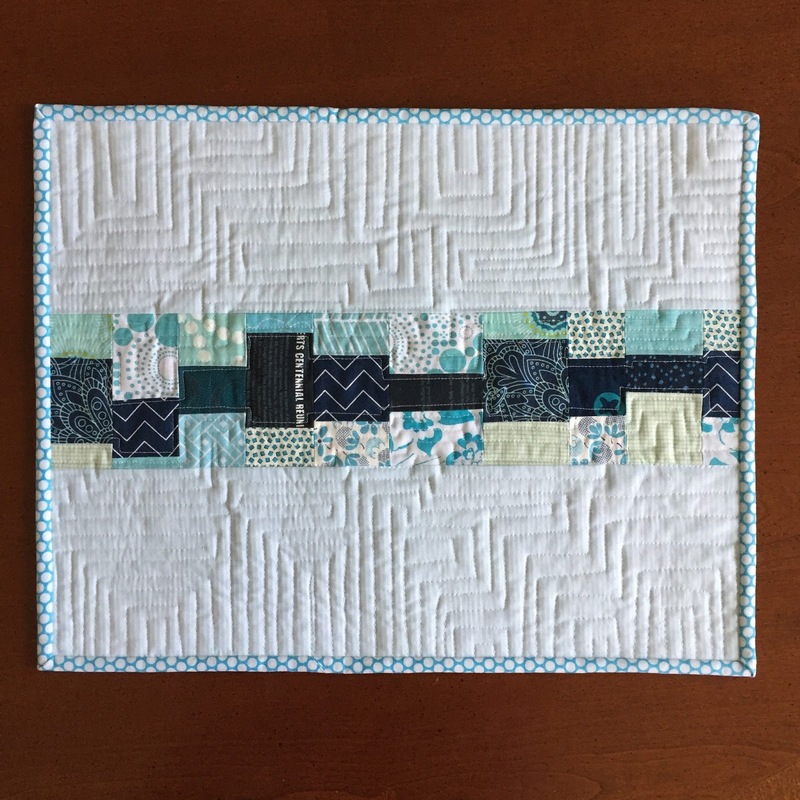 These placemats are numbers seven and eight, so it looks like I'm on track to make my goal of twenty to donate by December. 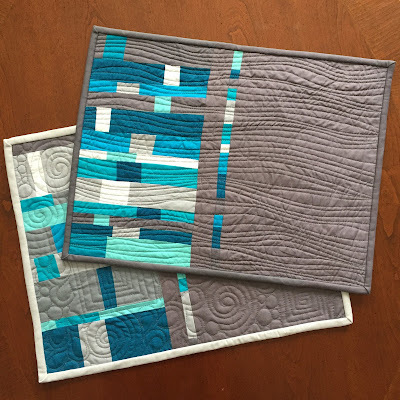 These modern, quilted placemats made good use of some leftover improv panels and scraps of grey solids. 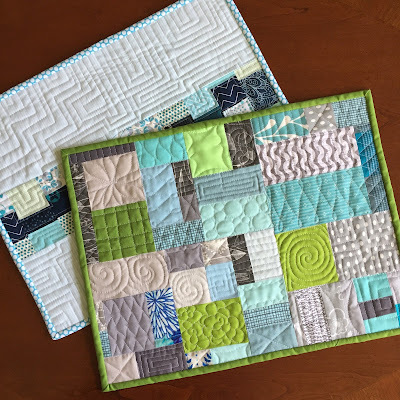 They are placemats numbers five and six for my year long project to make placemats for Meals on Wheels. 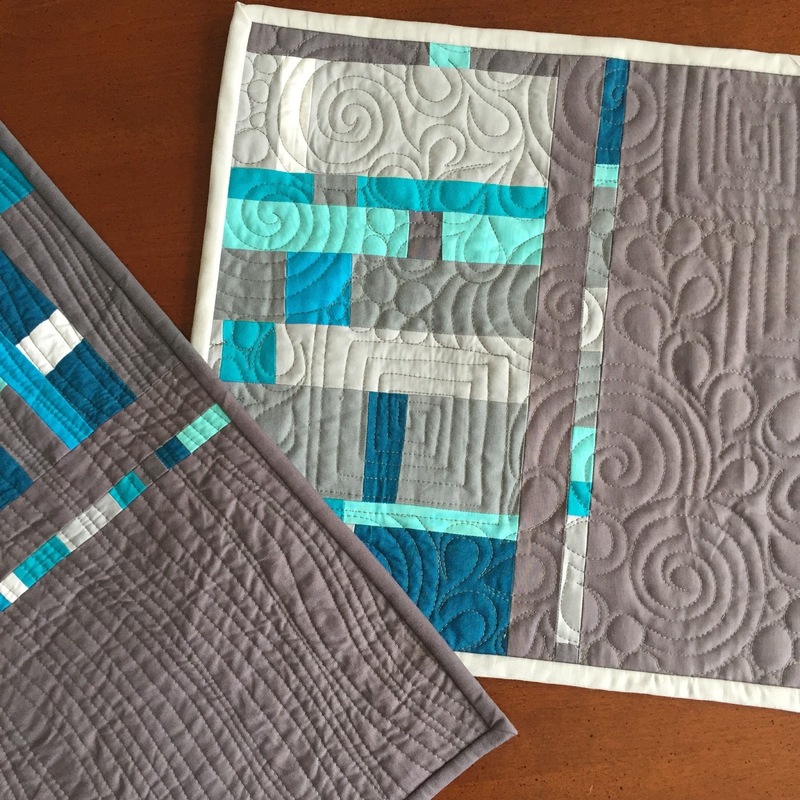 Placemats are a great way to try out new quilting designs. They are so quick to make too. I went a little crazy with free motion designs on one, and on the other I stuck to my walking foot to create dense waves. 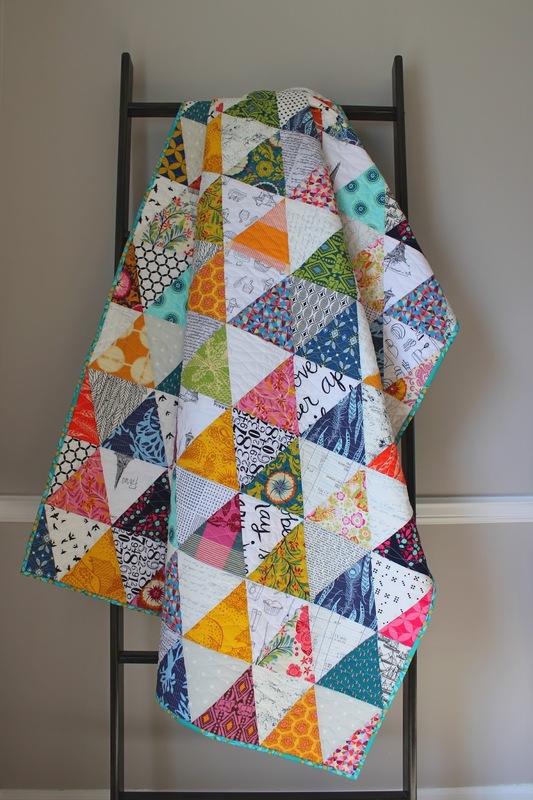 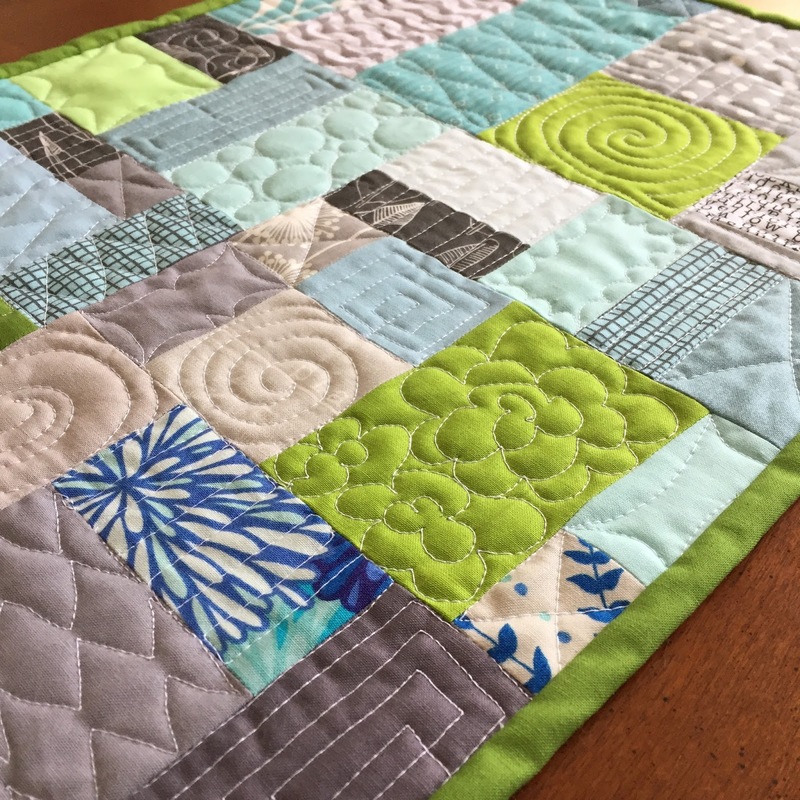 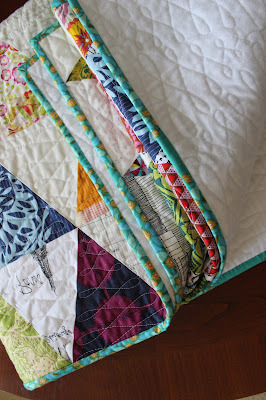 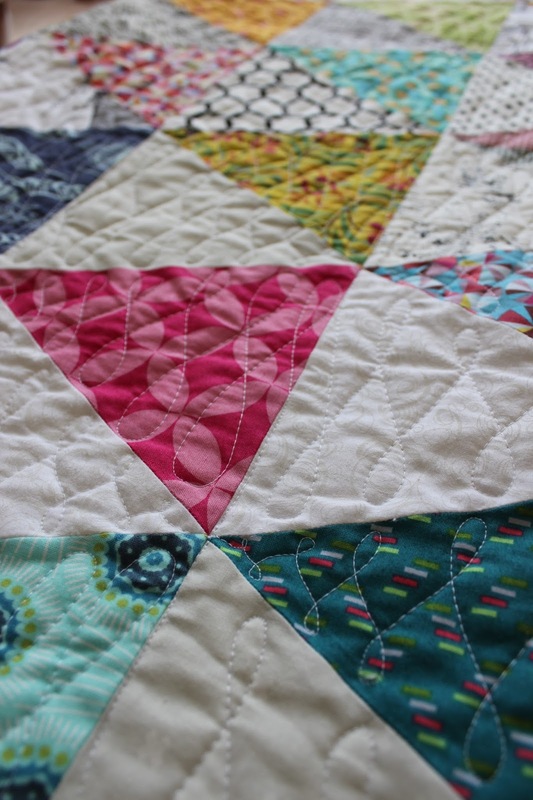 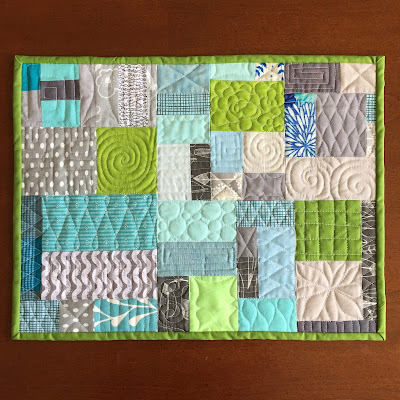 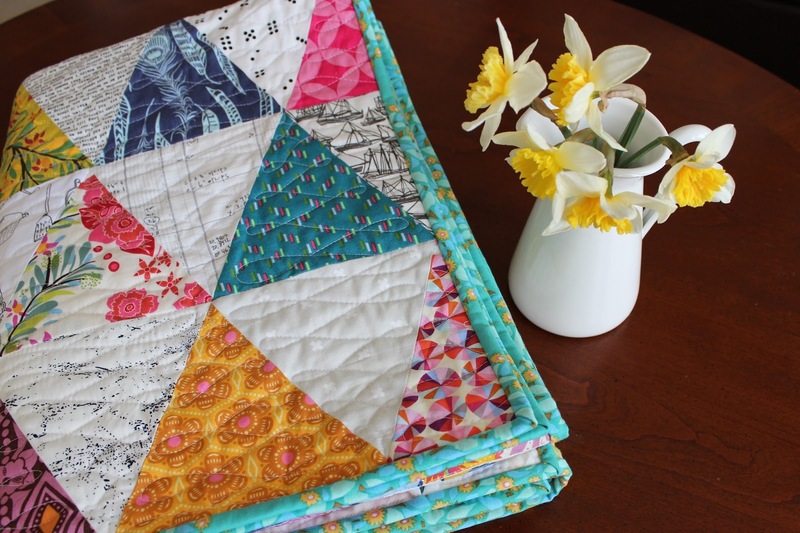 I'd love to have you join me in putting your random quilt blocks of scraps to use to make something beautiful and useful for a homebound senior. Tag your photos online #placemats4mow to share your work. 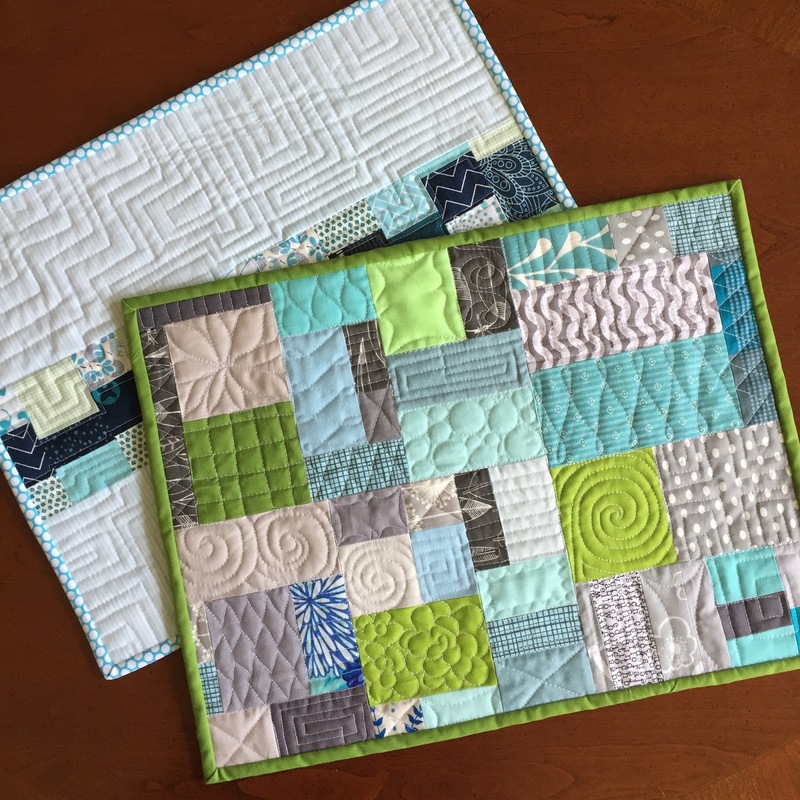 You can donate your placemats to your local chapter or any other charity of your choice. 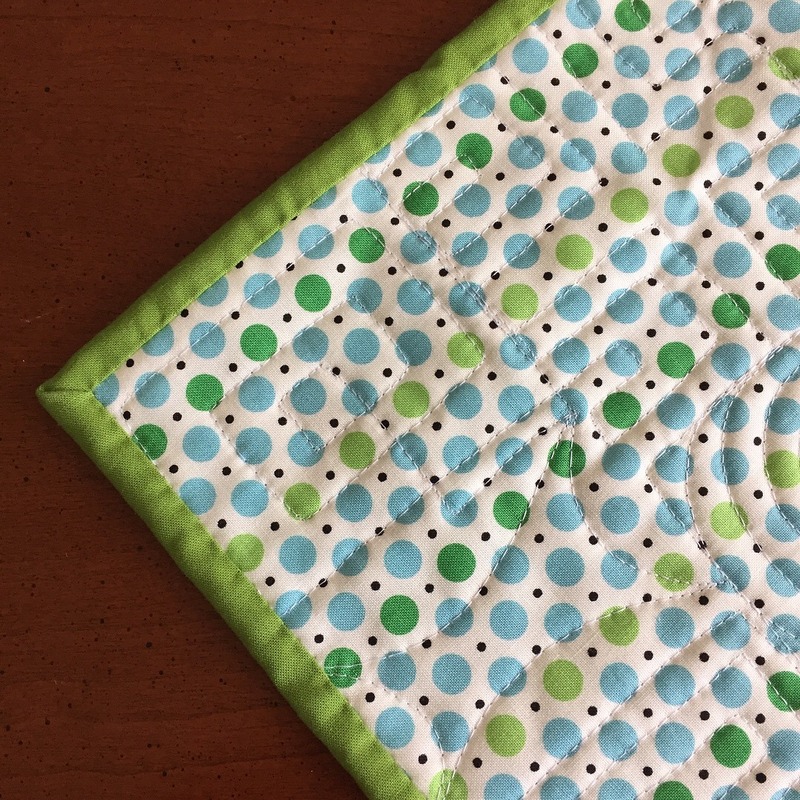 I put a little extra love in each placemat by hand stitching the binding.